Flatt Lonesome, Stoney LaRue, Josh Ritter and a handful of other artists lead list of new releases this week. Somehow we missed Flatt Lonesome last week but we’re not making that mistake this week as the talented six-piece band leads our list of new releases (with Runaway Train) featured in this week’s report about the newest albums in country music, Americana, Bluegrass and anything else that we think you might like. Other new releases include Stoney LaRue’s Us Time, Josh Ritter’s Sermon on the Rocks, and Brian Ritchey’s Bordeaux. The young band won 2014’s Emerging Artist of the Year award thanks to their sterling musicianship and the three sibling lead vocalists (Buddy Robertson, Charli Robertson and Kelsi Robertson Harrigill). 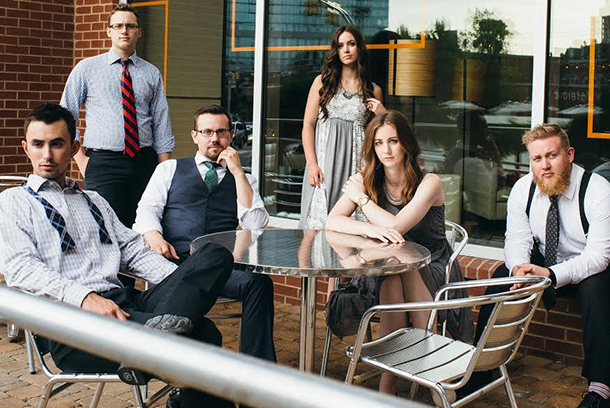 They blend traditional bluegrass sounds with expressive traditional leaning country songs. Charli could really have a solo country career if she wanted as she proves every time she sings lead vocals (take a listen to “New Lease On Life” and title track “Runaway Train” to hear the Lee Ann Womack-like colorful voice). Buddy takes the Merle Haggard “Mixed Up Mess of a Heart” and turns it into a bluegrass staple while Kelsi’s take on “Letting Go” makes a case that maybe she too could be a traditional country vocalist. She’s got a deeper, more Kathy Mattea-like vocal but it’s as richly textured as her sister’s. If country were more appreciative of songs like those found throughout the band’s strong Runaway Train album. Well-known for his singer/songwriter stylized take on Americana, Josh Ritter’s latest project, Sermon On The Rocks, is the critically-acclaimed artist’s eighth album. “Henrietta, Indiana” feels like a long-lost Jim Croce track while “Young Moses” blends soul and roots rock together while showcasing lyrics that are insightful and honest. Each of the songs are lyrically impressive, the production is sonically impressive as well and it’d be cool if mainstream country artists would take a stab at one of these songs here (“Where The Night Goes” comes to mind) for an album though if they did, it’d take a rare talent to outdo Ritter’s original. And that’s what Josh Ritter is, an original American classic who makes music that is often unclassifiable except for that it’s good or exceptional music, you know part of two kinds of music: the good or the bad. If you were to put Stoney LaRue’s new project Us Time up to other collections of outtakes, covers and special recordings, it’d stand up to just about any of ‘em. Why? Because LaRue chooses smart material from covers like Van Morrison’s “Into The Mystic,” Gary Stewart’s “Empty Glass” to “Wichita Lineman,” the iconic Glen Campbell track which closes Us Time. In between, there are formerly live-only tracks like “Oklahoma Breakdown,” “Feet Don’t Touch The Ground” and “Til The Morning Comes.” The well-written title track is itching to become a George Strait classic and hopefully, if Stoney gets around to another record like Us Time down the line, he’ll take on a Strait classic or two as he’d do it justice like he does every song here. I first listened to Brian Ritchey’s new record Bordeaux on a drive around Nashville on a wonderful sunny Autumn afternoon and man is it a perfect record for such an occasion. Ritchey is an emotive vocalist, equal parts Jeff Tweedy, Levon Helm and Elton John with a dash of Kurt Cobain thrown in for good measure. Bordeaux’s best tracks are the opener “Hello Lonely Friends,” the moody, evocative “Disease” and closer “This Old House.” He’s a sturdy songwriter with picaresque views and that makes for a delightful listen that probably serves as a strong showcase for what a Brian Ritchey live show would be like.